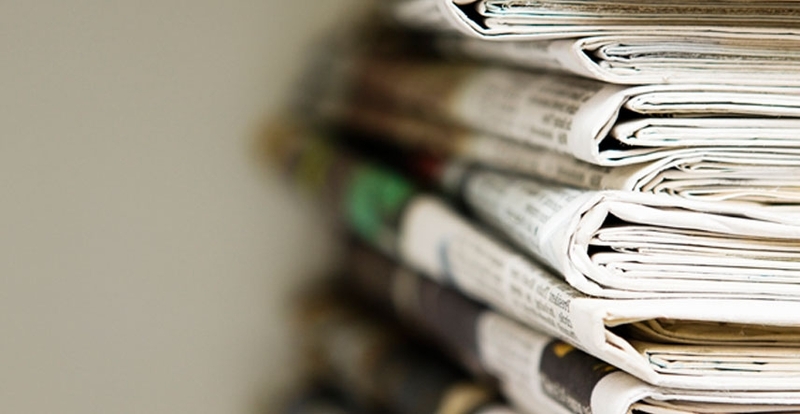 Responsibility, communication, and creativity are some of the interpersonal skills demanded in today’s labor market. Yet young people in Latin America and the Caribbean aren’t developing these skills in school, according to an Inter-American Development Bank (IDB) study released today. 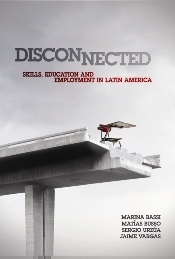 The study, which is based on two surveys, is entitled “Disconnected - Skills, Education and Employment in Latin America” (Desconectados - Habilidades, Educación y Empleo en América Latina). Its authors found a large gap between the skills learned at school and the ones the labor market demands from young people graduating from high school in our region. The first survey consists of the answers obtained from more than 6,200 young people aged between 25 and 30 years, who were interviewed in Argentina and Chile. About 1,200 companies in Chile, Argentina and Brazil answered a second survey on demand for skills in jobs that typically require workers with high school diplomas. These are first-of-a-kind surveys in Latin America. They measure the importance of cognitive against socio-emotional skills, and the relative weight companies assign to each of them when it comes to hiring young people. The IDB study indicates that educational systems in Latin America and the Caribbean have improved coverage levels, but are lagging in quality and in the ability to engage and motivate students to complete their studies. Likewise, it reveals a significant decline in the salaries of workers with high school diplomas, historically high unemployment rates, low and stagnant labor force participation, salaries that virtually have not increased in three decades, and increasing informality. This evidence indicates that the youth employment situation is currently worse than in the past, especially for those who have graduated from high school. 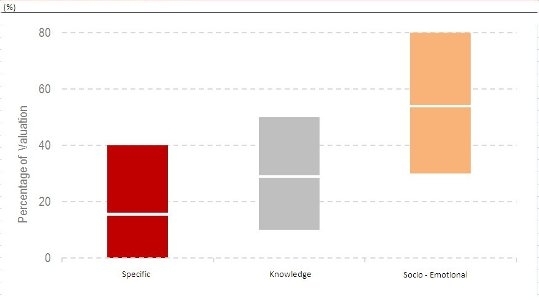 According to the surveys, most of the interviewed companies give priority to socio-emotional, or “soft” skills, which are those related to personality. The companies assigned 55 points to this type of skills, whereas knowledge skills received 30 points, and those related to technical knowledge of the so-called specific tasks were given only 15 points. About 80 percent of the surveyed companies reported that the skills that are most difficult to find include those concerning behavior and socio-emotional attitudes, such as empathy, adaptability, politeness, responsibility, and engagement, among others. The study further points out that those individuals with a better educational level have better skills both at the cognitive and at the socio-emotional level, which shows completing high school is an imperative for young people. More than 40 percent of teenagers in Latin America do not complete secondary studies before the age of 24. Nevertheless, at least 30 percent of the surveyed companies believe the education received in high schools is not enough for a proper performance in the required tasks. To help close this gap, the study’s authors recommend enlarging the scope of school instruction in order to integrate the development of socio-emotional skills, reforming both curriculum content and the pedagogical practices to that end. The authors also propose designing mechanisms to link schools more effectively to their surrounding context, especially regarding local production and employment. They recommend using educational assessment and information systems aligned with the intended skills to be developed, not only with academic knowledge, but also with the socio-emotional skills relevant for a proper performance at work and in life. Finally, the study suggests that education systems in the region should focus on recruiting well-trained teachers and introducing incentive mechanism that are aligned with the system’s goals.